Finkelstein, Maxwell W.. "Wood Buffalo National Park". The Canadian Encyclopedia, 16 April 2019, Historica Canada. 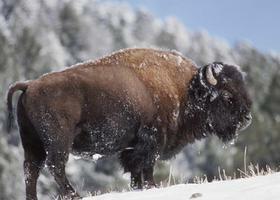 https://www.thecanadianencyclopedia.ca/en/article/wood-buffalo-national-park. Accessed 25 April 2019. 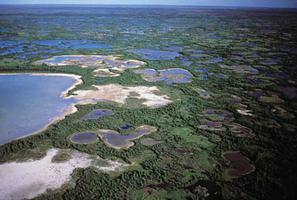 Wood Buffalo National Park (established in 1922, 44 802 km2) was established to protect the last herd of wood bison. 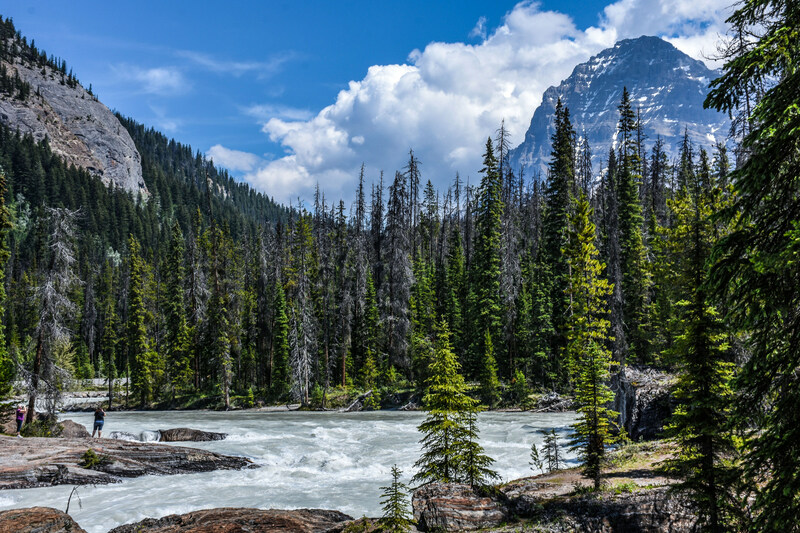 Canada's largest national park straddles the Alberta/NWT border. It was declared a World Heritage Site in 1983. 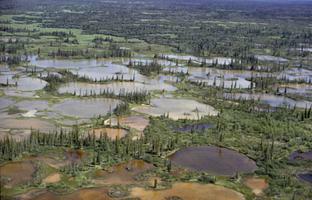 Taiga plains in Wood Buffalo National Park, habitat of the whooping crane (photo by R.O. Muir, courtesy Parks Canada). The park includes 3 major environments: fire-scarred forested uplands; a poorly drained plateau etched with meandering streams and pocked with bogs; and the Peace-Athabasca Delta, one of the world's largest inland deltas and a Ramsar site (wetland of global significance). Also present in the park are extensive salt plains - where mounds of salt can grow to 2 m high - and one of the best examples of Karst landforms in North America. Between 1925 and 1928, 6673 bison were transported from Wainwright, Alta, to the park. This decision, well intended though it was, brought disease in the form of bovine tuberculosis and brucellosis to the park's bison population. Wood Buffalo provides excellent habitat for a variety of other wildlife such as moose, caribou, wolf and Black Bear. In the wetlands, muskrat, beaver and mink thrive; in the forests, fox, lynx, weasel and red squirrel. Waterfowl abound in the delta. Over one million ducks, geese and swans pass through on migration; many remain to nest. The park is famous as the last remaining natural nesting site for whooping cranes. 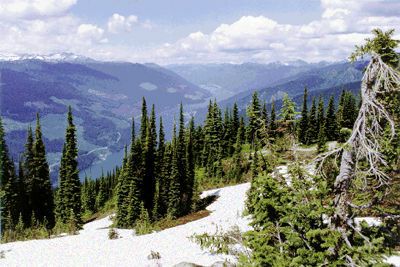 The area has been inhabited by humans since the retreat of the glaciers. In recent centuries, nomadic Cree and Chipewyan bands were integral to this ecosystem. Their descendants occupy the park and carry on fishing, hunting and trapping activities, making this the park in Canada with the longest standing tradition of native subsistence use. 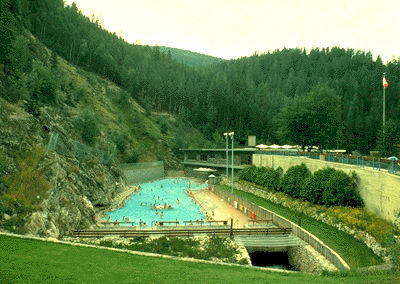 In keeping with the wilderness character of the park, facilities are few and basic. The only vehicle-accessible campground and most hiking trails are found along the Pine Lake Road that runs south from Fort Smith, NWT. Park offices are located in Fort Smith and in Fort Chipewyan, Alta.